The 1914 disappearance of F. Lewis Clark made headlines across the United States and remains shrouded in mystery. On the evening of January 17th, 1914, F. Lewis Clark and his wife arrived at the train station in Santa Barbara, California. Rather than joining his wife, Clark helped her board the train and left her with a kiss. Telling his chauffeur to meet him in the morning, Clark set off on the mile-long walk down the boardwalk towards his hotel. He was never seen again. 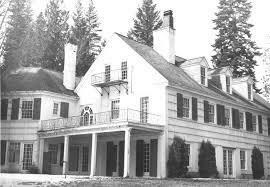 Clark, one of Spokane’s earliest millionaires, was born to a wealthy family in Bangor, Maine in 1861. After being educated at Harvard, Clark spent a few years abroad in Europe, competing in sailing competitions around the globe. An avid outdoorsman, Clark decided to settle in Spokan Falls, in the then Washington Territory. Clark invested in mining, banking, real estate, and the largest flour mill in the state. He financed the building of many of Spokane’s historic downtown buildings, including the American Legion building, and sold land to Louis Davenport on which he built the historic Davenport Hotel. 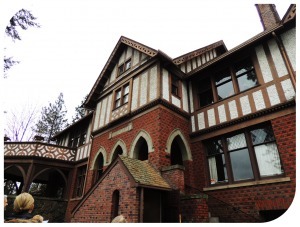 He owned two homes, one on Spokane’s South Hill and the other on Hayden Lake, both designed by Kirtland Cutter. By the early 1910’s Clark’s health began to fade. He and his wife frequently traveled to southern California during the winter to avoid the cold. The night of his disappearance was not unlike many nights preceding it. The next morning, however, there was no sign of Clark other than his hat which was found on a beach near the wharf between the train station and the hotel. His chauffeur noted to police that Clark’s health was not in the best condition for such a walk, but he had been in high spirits. Ruled a suicide, police believed Clark had plunged into the sea which he loved to avoid the effects of his failing health. Two weeks later the case again made national headlines “Capitalist Being Held for Ransom!”. The Los Angeles Examiner published an anonymous letter sent to its offices: “We are holding millionaire Clark for ransom. State in Examiner if his folks would pay it or not. He is well taken care of. Yours, THE BLACKMAILERS.” A $75,00 demand for Clark’s safe return was included with the note. Police investigated further and asked for proof Clark was alive and unharmed, when none was presented, the search for the blackmailers was dropped. In late February, a body washed ashore not far from where Clark had last been seen. Thought to have been Clark’s, friends traveled from Spokane to identify the body but concluded it was not him. The case went cold until the beginning of June when a woman by the name of Margaret Kelly was arrested. Kelly, whose aliases include Marie Ella Allen and Clarisse the Blonde, stood accused of being part of a ring of fake mediums and blackmailers. The ring preyed upon those vulnerable to extortion and was led by a private detective named Edgar Byron. Kelly charged that one of the alleged victims was Mrs. Clark, a claim which she vehemently denied. No further evidence, beyond the confessions of Byron and Kelly was ever substantiated. February 1929, 15 years after his disappearance, a headline from the Boston Globe read “Woman Explains Long Unsolved Mystery: Multimillionaire Francis Lewis Clark Was Murdered for Money He Carried.” One Mrs. Margaret Kelly, this time compelled by a guilty conscience, went to a police station and again recounted the tale of the murder of Clark, and the role she played in his death. After an interrogation, the police deemed her story a “fabrication which could not be checked or proven.” Upon leaving, Kelly told reporters that “the police had done all they can do, I guess… I hope I’m not goofy.” Police again closed the case, ruling it a suicide. With so many unanswered questions regarding Clark’s death, the mystery around his disappearance remains. False, or confessions which are unable to be proven, fake mediums, and corrupt private detectives have muddied the waters on the hunt for the truth of what happened to one of Spokane’s most influential early citizens. 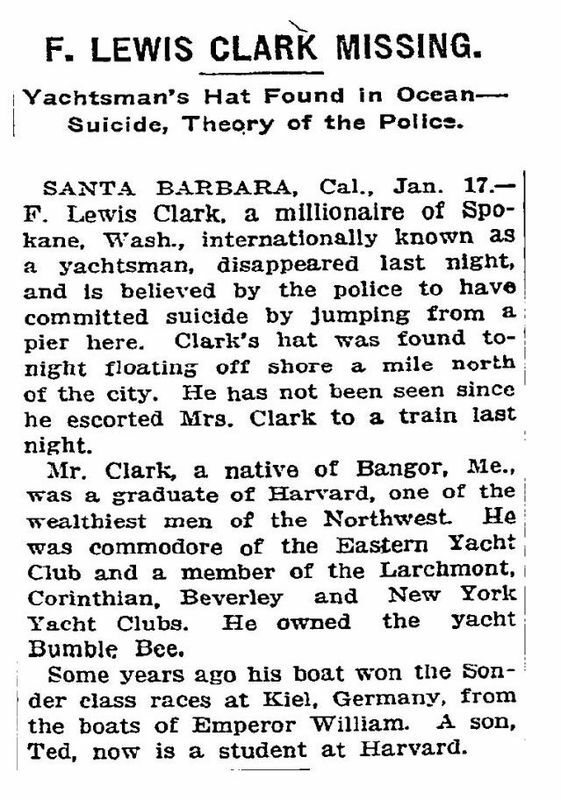 NYT story: Clarke's disappearance made national headlines, including in the New York Times. ~ Creator: Courtesy of the Wikimedia Foundation. 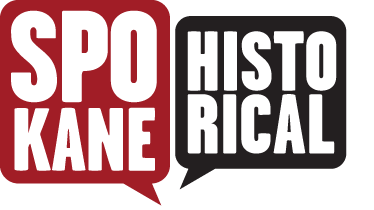 Jason Raleigh, “The Enduring Mystery of F. Lewis Clark,” Spokane Historical, accessed April 24, 2019, https://spokanehistorical.org/items/show/829.